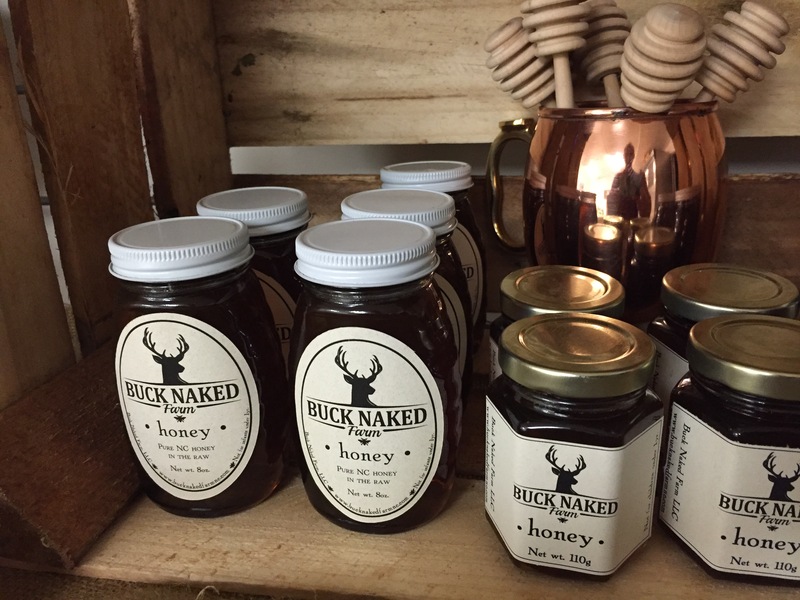 Our beekeeper, Jennifer from Buck Naked Farm, has quite a showing in our store. Besides keeping our bees happily pollinating, she also produces honey for sale. 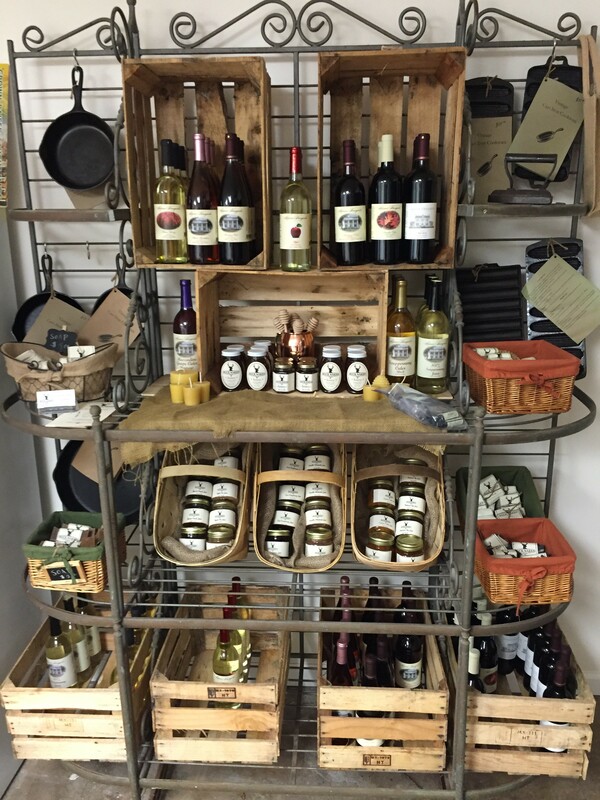 She also routinely buys our lard and tallow and renders the fat to make home-made soaps. 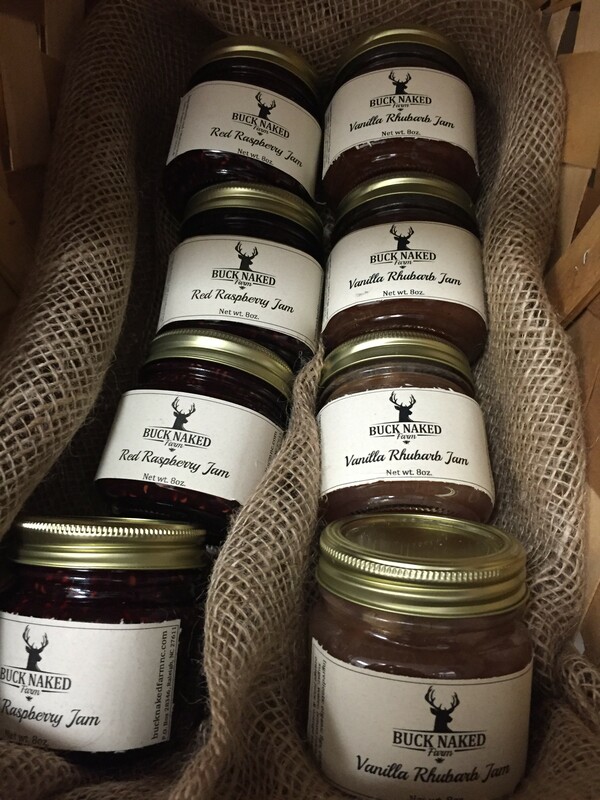 She also makes awesome home-made jams in her immaculate kitchen. Being a beekeeper, she also has ready access to real bees-wax. 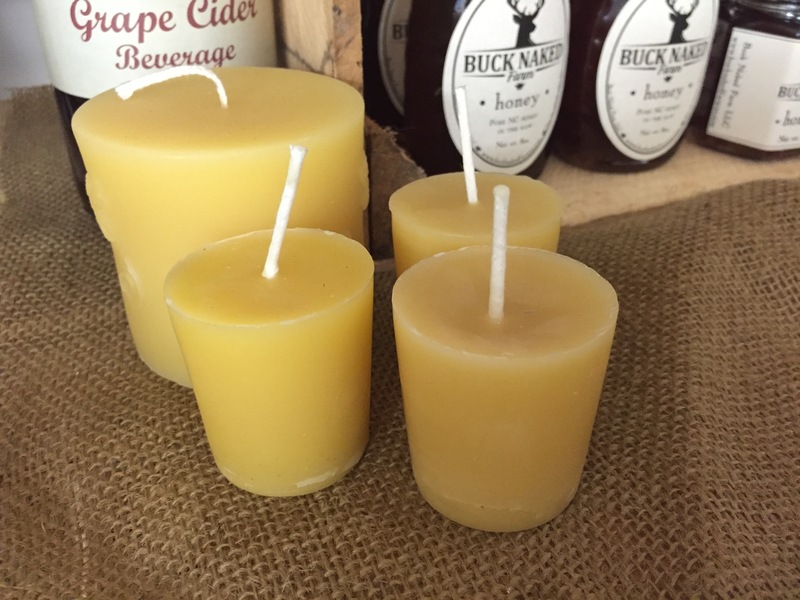 Allowing her to make real beeswax candles and lip balm. 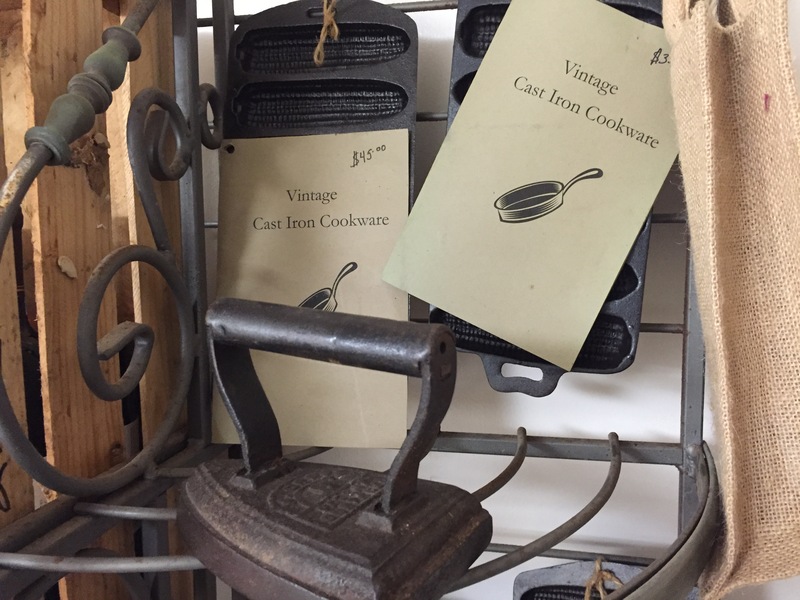 We also have vintage cast iron cookware for sale in our store. Our selection of non-meat items. Is the honey raw, unfiltered, and organic? 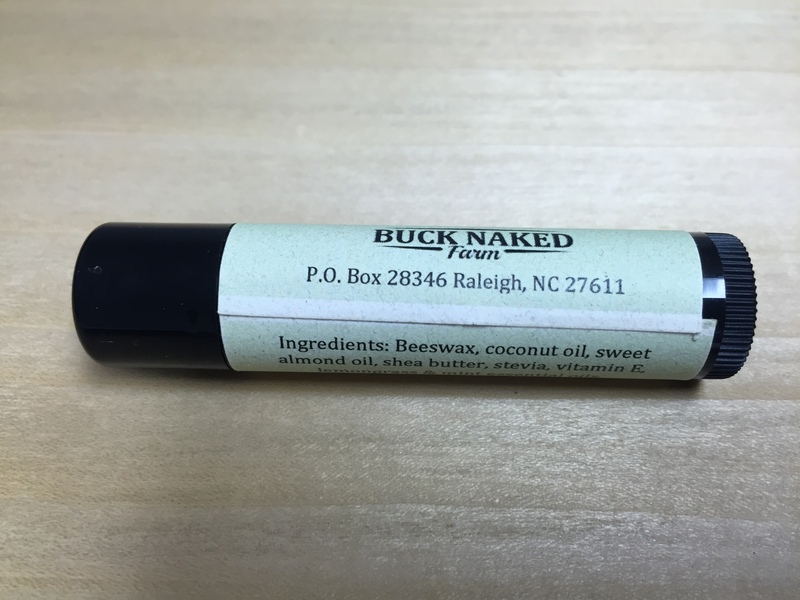 I think your raw buck naked honey is probably the best I’ve ever tasted– I live in Garner and need to buy more. Where can I buy it? Hi do you make real lye soap like the olden days with the lard and ashes? I’ve been trying to find someone for a long time. Jennifer, I don’t know of anyone who uses water and ash for lye, other than a bushcrafter doing it for an experiment. Nobody would sell it commercially as it’s extremely difficult, if not impossible to get the ratios of lye to fat correct to assure no lye is leftover in the soap. That’s where the stories of Grandma’s soap being an issue come from. 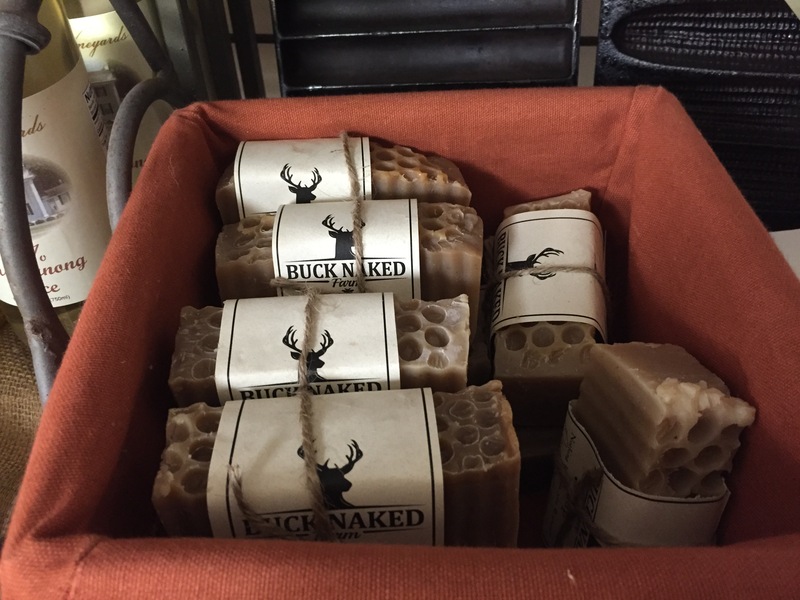 However, our soaps are made with commercial lye, which chemically is the exact same thing, just in a specific amount so that the soap can be made safe for consumers. Also, our soaps are superfatted so we know that all the lye is used up in the soaponification process. If you want real soap, that’s what we have. If you want to make a bushcraft project, I suggest you look to that market/niche. What are the prices for honey? What type of honey you have? Got any honey with the comb in it? Sorry, I just saw your comment. We don’t stock any but I’ll check and see if our beekeeper has any. 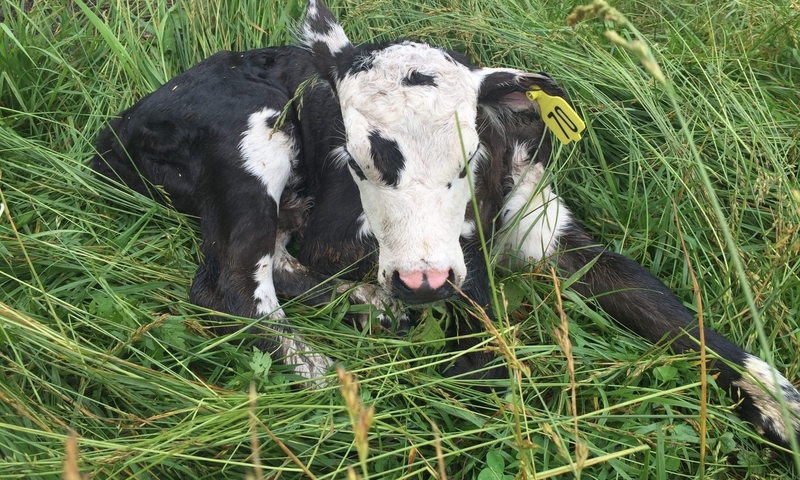 Also, we are getting a cow back from the processor on March 2nd. Should have some oxtail then. Maybe you can get both in one trip. Heard back from our beekeeper. We will have honey with comb but not till later this year.